Commission Vice-President for Energy Union Maroš Šefčovič will be in Germany on 16-17 April for the second Energy Union Tour. He will meet key members of the new German Federal Government, namely Economy Minister Peter Altmaier, Minister for Foreign Affairs Heiko Maas and Minister for Transport Andreas Scheurer. Vice-President will also meet members of the Bundestag Committee for Economic Affairs and Energy and in addition, hold a bilateral exchange of views with both, Chairman of the Transport Committee Cem Özdemir and Chairman of the Committee on Foreign Affairs Norbert Röttgen. 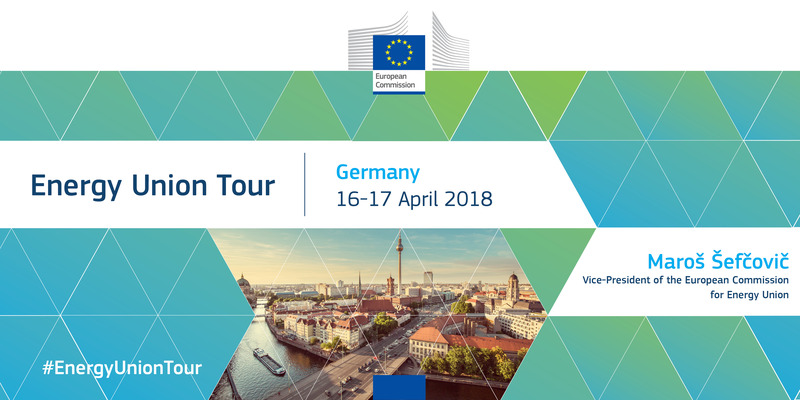 Numerous talks will focus on Germany's progress towards the Energy Union's targets, on the 'Clean Energy for All Europeans' legislative package, the country's 2030 national energy and climate strategy, the decarbonisation of transport, joint efforts under the European Battery Alliance as well as on the potential of EU funding to facilitate investments into the clean energy transition. An external dimension of energy security will also be addressed during the meetings. Vice-President Šefčovič will meet representatives of non-governmental sector and will participate in three events: on the future of the European gas market, the annual Berlin Energy Transition Dialogue and the Global Summit on Blockchain Technology in the Energy Sector. As we hope that Member States reach an agreement on the Clean Energy package by this June, I welcome the emphasis that the new German government has placed on the necessity for the energy transition to succeed. We will discuss best ways to make this a reality in Germany as well as in the entire EU. In the area of energy security, I appreciate active involvement of Germany, and notably Chancellor Angela Merkel, in finding a solution that would safeguard Ukraine's long-term role of a gas transit country in a commercially viable way.